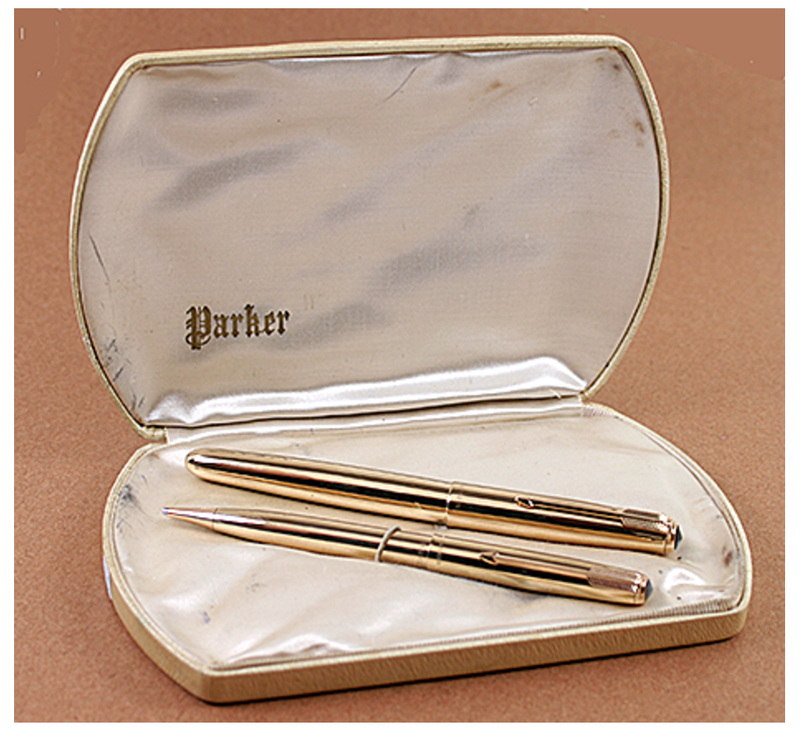 This is a Parker 1952 51 Presidential Aerometric-fill set in 14K solid gold. 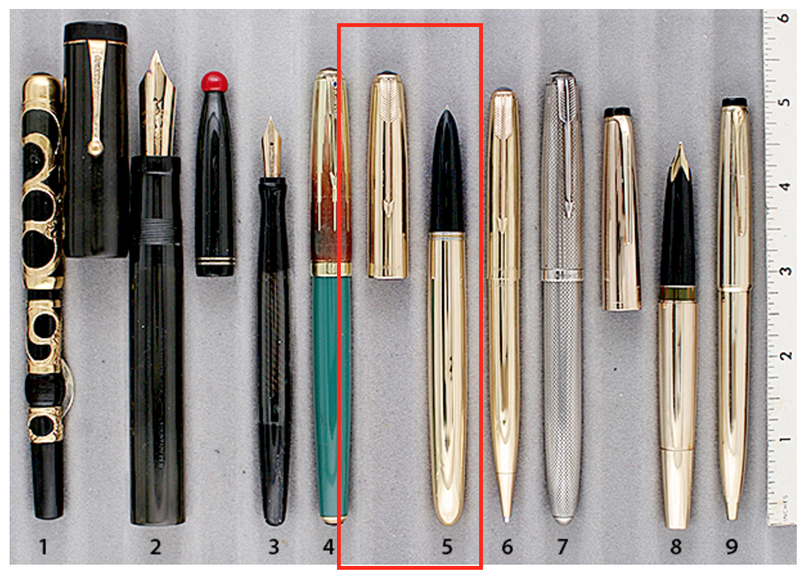 It has a medium/fine nib, near mint in box with perfectly clear plyglass and no signs of use. Item #5 in Catalog #81.